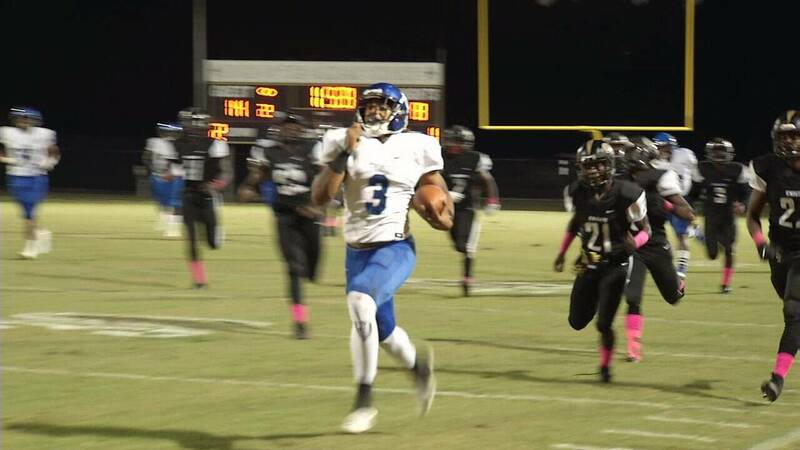 JACKSONVILLE, Fla. - Trinity Christian running back Marcus Crowley was named the Gatorade Football Player of the Year in the state of Florida Thursday. The Ohio State commit ran for 2,325 yards and 28 touchdowns in his senior season and also caught three touchdown passes. He helped lead Trinity Christian to a 13-1 season, with their only loss coming to North Marion in the 5A state semifinals. During his career for the Conquerors, Crowley rushed for over 4,000 yards. He is the second Trinity Christian player to win the award, joining Shaun Wade, who won in 2016. Wade also attends Ohio State. Crowley joins Wade and another Jacksonville-area player, former Yulee running back Derek Henry who won the award in 2012. As a result of winning the Gators Florida Football Player of the Year award, Crowley also becomes a finalist for the prestigious Gatorade National Football Player of the Year award, which will be announced in December. The Gatorade Player of the Year program annually recognizes one winner in the District of Columbia and each of the 50 states that sanction high school football, girls volleyball, boys and girls cross-country, boys and girls basketball, boys and girls soccer, baseball, softball, and boys and girls track and field, and awards one National Player of the Year award in each sport. From the 12 national winners, one male and one female athlete are each named Gatorade High School Athlete of the Year. In all, 607 athletes are honored each year.